Long-lasting, fashionable and multipurpose are the top characteristics of this wood bankers chair by Office star. This versatile chair looks striking in fruit finish. High level of comfort is ensured with its ergonomically designed seat, back and arms. Fine-tune seat height to your liking using the lever. This swivel chair also moves with casters. 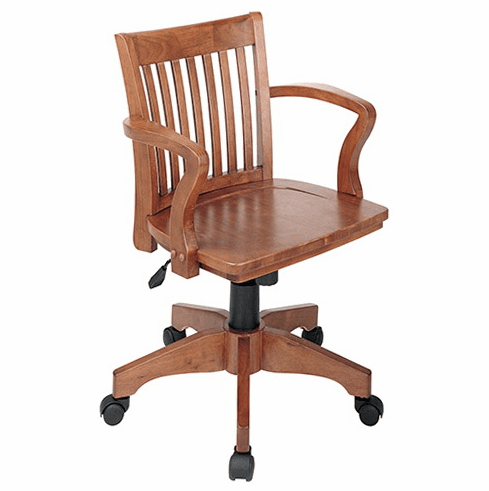 This bankers desk chair normally ships within 2-3 business days from our CA warehouse.